There has never been a time when the game of football was so rich with legitimate opportunities. The NFL stands at the mountain top for the game. However, the Canadian Football League (CFL) and Arena Football League (AFL) has been the other landing spots in the valley for football talents to earn a living. Now, the Alliance of American Football (AAF) has carved another path for untapped standouts to live out their dreams on the gridiron. Clearly, many players fell short of making a professional roster, including athletes who ventured through the NFL Regional Combine process. The AAF have 25 players from the RC platform. Similar to majority of the talents in this creditable league, these RC pioneers have NFL experience and some are Super Bowl champions. The AAF will mirror the NFL and CFL in many ways, with a few differences here and there. But the league has one advantage over the CFL, which will make it more appealing to players. When a player signs with the CFL, they have to wait two seasons in order to pursue a career south of the Canadian border. If a NFL team express interest in an AAF player, they can sign immediately. Quarterback Josh Johnson was the first player in AAF history to be selected in their Quarterback Protect or Pick Draft in November. The San Diego Fleet called his number, then the Washington Redskins dial his number less than 10 days following the inaugural draft to back up quarterback Colt McCoy. McCoy went down for the season due to a broken right fibula in Week 13 against the Philadelphia Eagles, and quarterback Mark Sanchez was benched in Week 14. Johnson stepped in a played decent enough to finish out the season. If Johnson does not succeed in the NFL, he is welcomed back to the Fleet. The immediacy of getting to the next level will probably be the main attraction for players to perform in the AAF. And the fact that the AAF is not trying to compete against the NFL, this league is lined up for instant success. The AAF’s season spans 10-weeks, following the Super Bowl through to the week of the NFL Draft. Ultimately, getting to the NFL is the target as talents work on their craft to garner attention. Soon, getting to the mountain top of the NFL won’t be high enough. “Sometimes you got to take a different route to get to where you want to be,” said Atlanta legends speedy wide receiver Montay Crockett, who ventured through the RC process in 2017. However, the goal is to make the AAF great first – which begins Feb. 9. Check out the NFL Regional Combine pioneers who will have a shot at moving the AAF towards greatness. -Quarterback Peter Pujals – 2018 RC attendee. Was in camp with the Minnesota Vikings. -Wide receiver Montay Crockett – 2017 RC attendee. Was in camp for several teams in the NFL. -Defensive tackle Lawrence Okoye – 2013 RC attendee. Played in the NFL from 2013 to 2017 with several teams. -Defensive back Robenson Therezie – 2015 RC attendee. Played in the NFL from 2015 to 2018 with several teams. Amassed 36 tackles and an interception. -Defensive back Ryan White – Participated in the NFL Veteran Combine. Was in couple NFL camps. -Wide receiver Donteea Dye Jr. – 2015 RC attendee. Played with the Tampa Bay Buccaneers from 2015 to 2017. Recorded 11 receptions for 132 yards and a touchdown. -Offensive lineman Dillion DeBoer – 2017 RC attendee. Was in camp with the Los Angeles Chargers. -Offensive lineman Aaron Evans – 2018 RC attendee. Was in camp with the Philadelphia Eagles. -Defensive back Will Hill – 2012 RC attendee. 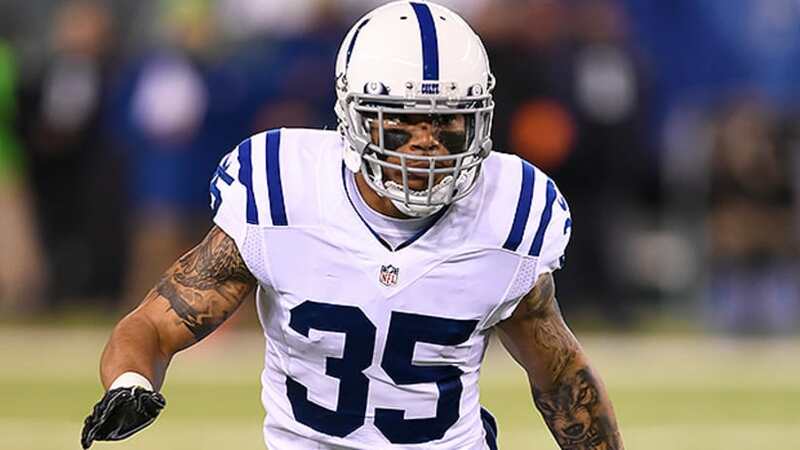 The hard hitting safety played in the NFL with the New York Giants and Baltimore Ravens where he registered 220 tackles, including a sack, four forced fumbles, four inceptions and three touchdowns. Spend time in the AFL and CFL. -Wide receiver Brian Tyms – 2012 RC attendee. Played in the NFL from 2012 to 2016. Won a Super Bowl with the New England Patriots (XLIX) and won the Grey Cup with the Toronto Argonauts (2017). -Defensive tackle Johnny Maxey – 2016 RC attendee. Played for the Pittsburgh Steelers (2016) and Tennessee Titans (2017-2018). -Defensive end Corey Vereen – 2016 RC attendee. Played for the Patriots in 2017. -Center Demetrius Rhaney – 2014 RC attendee. Was selected by the Rams in the 2014 NFL Draft in the seventh round (250th-overall). Played in the NFL from 2014 to 2018 on several teams and participated in 33 games, including a start. -Linebacker Terrance Bullitt – 2014 RC attendee. Played with the Edmonton Eskimos in 2017. -Running back Bronson Hill – 2015 RC attendee. Played in the NFL for several teams from 2015 to 2018. -Quarterback B. J. Daniels – 2013 RC attendee. First quarterback from the RC platform to get drafted in the NFL. The San Francisco 49ers selected him in the seventh round (237th-overall) in the 2013 NFL Draft. Played on several NFL teams spanning from 2013 to 2017. Won a Super Bowl with the Seattle Seahawks (XLVIII). Was the first quarterback from the NFL Regional Combine to throw a NFL pass (in 2015 for the Houston Texans). Played for the Saskatchewan Roughriders of the CFL in 2018. -Safety Christian Love – 2016 RC attendee. -Tight end Nick Truesdell – 2017 NFL Pro Player Combine attendee. Played for several AFL teams from 2012 to 2017 and was in camp with the Vikings (2017). -Wide receiver John Diarse – 2018 RC attendee. -Guard Mason Gentry – 2018 RC attendee. Was in camp with the Cleveland Browns. -Defensive back Darryl Morris Jr. – 2013 RC attendee. Played with several teams in the NFL from 2013 to 2017. Tallied 98 tackles, 14 passes defensed and two interceptions. -Quarterback Michael Bercovici – 2016 RC attendee. Played for the Chargers for two seasons and had a stint with the Arizona Cardinals. -Wide receiver Shay Fields – 2018 RC attendee. Was in camp with the Washington Redskins. -Wide receiver Nelson Spruce – 2018 Veteran Combine attendee. Played for several teams in the NFL from 2016 to 2018.